Providing you the best range of elevator gear motor and residential elevator machine with effective & timely delivery. 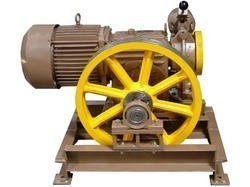 Our company is manufacturer and exporter of Elevator Gear Motor. We are the manufacturer and exporter of Residential Elevator Machine.